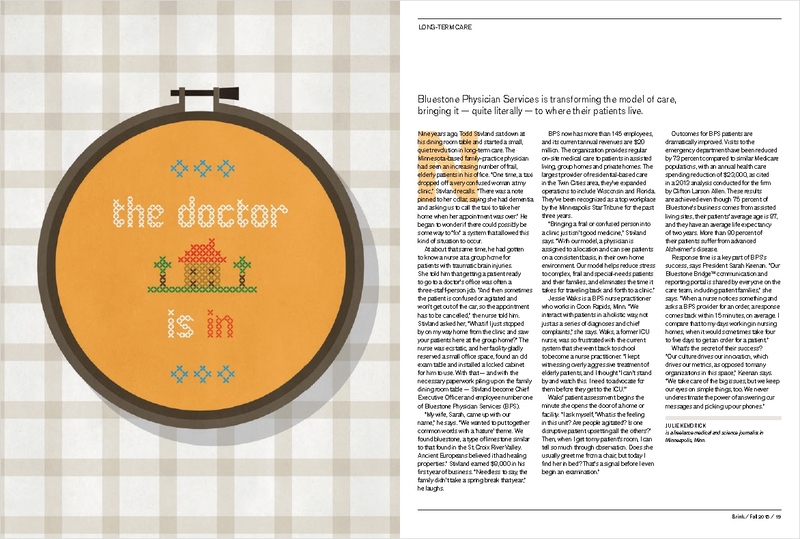 What’s next in patient safety. As the Midwest’s largest medical liability insurer, MMIC provides a range of innovative services and resources to help hospitals, clinics, long-term care organizations and others improve patient safety. Pollywog was asked to rebrand the company’s existing risk mitigation publication (which was known as “The Review”) to better reflect MMIC’s position of thought leadership in the industry. There’s a tipping point at every moment of risk, when the right choice makes all the difference. 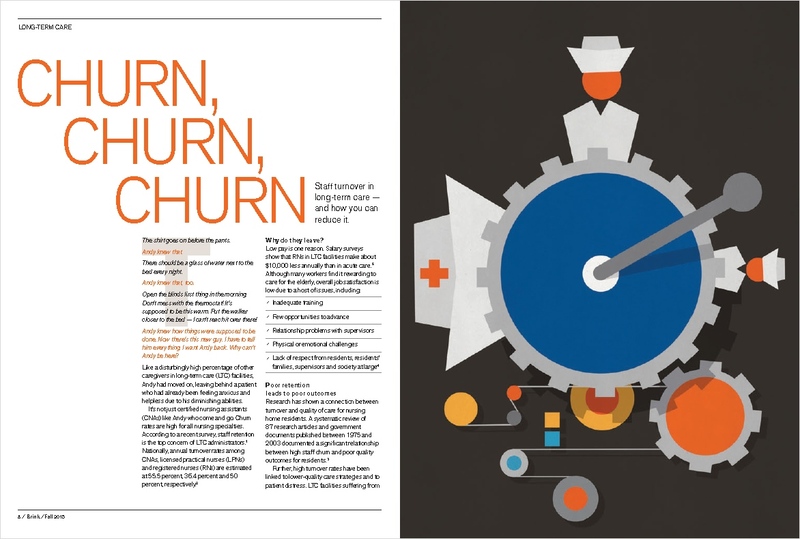 With its case studies and articles by experts, this magazine focuses on those moments, and how health care professionals can make decisions that help keep patients safe and avoid harm. 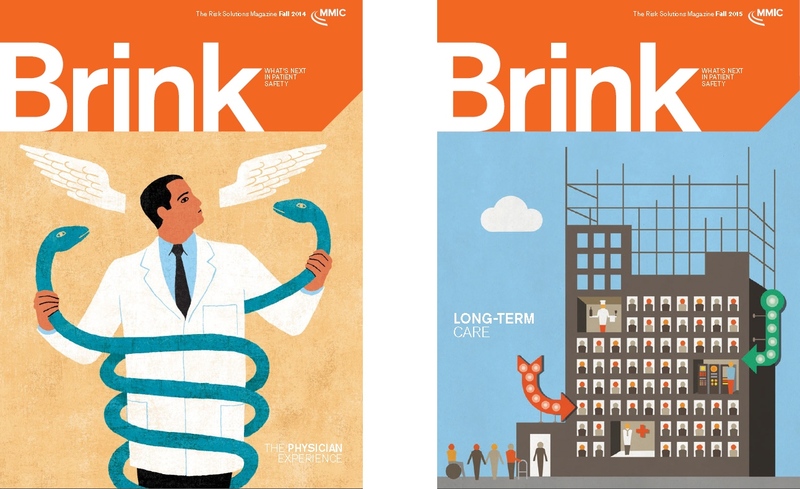 Succinct and emotionally charged, the name “Brink” not only recognizes that health care professionals work in a high-stakes environment, but also that MMIC is on the brink of discovery, constantly finding new ways to protect patients and their doctors. The implication of danger gives the name high impact.